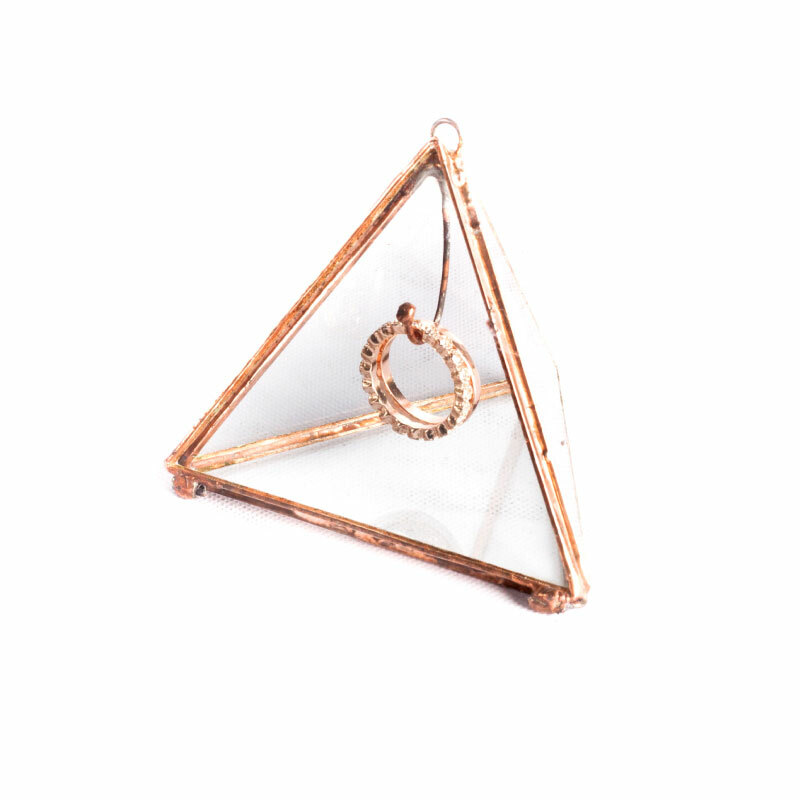 Triangle has one opening on top. 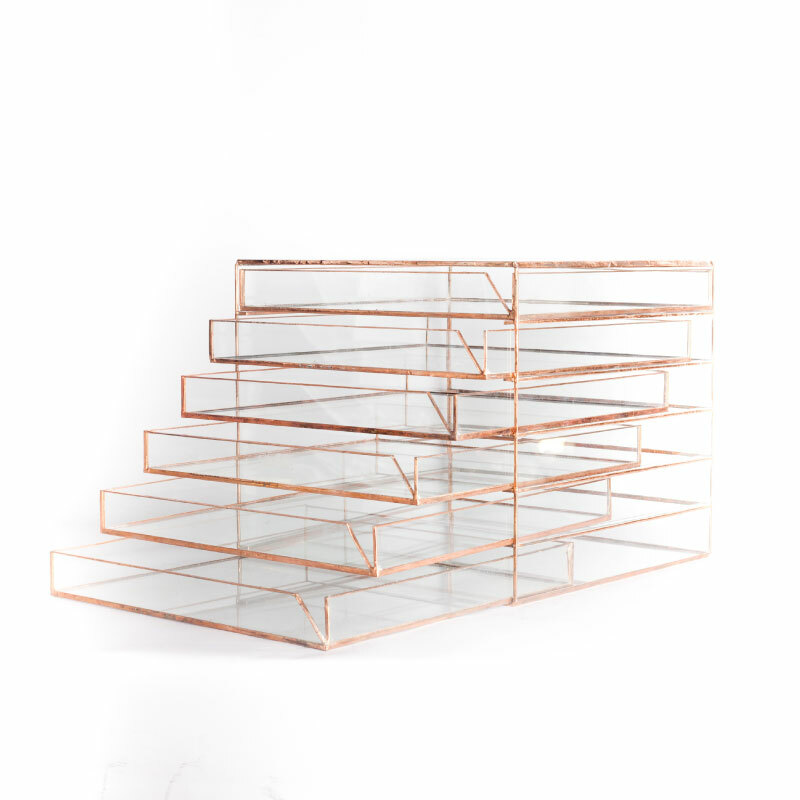 Available in two sizes and can be finished in Black or Copper. 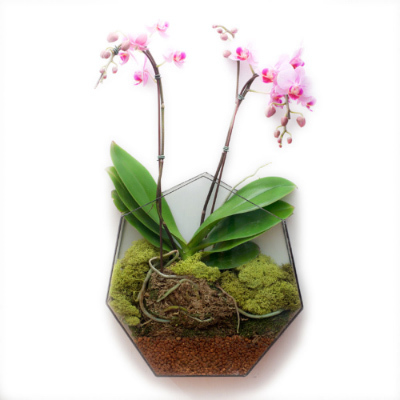 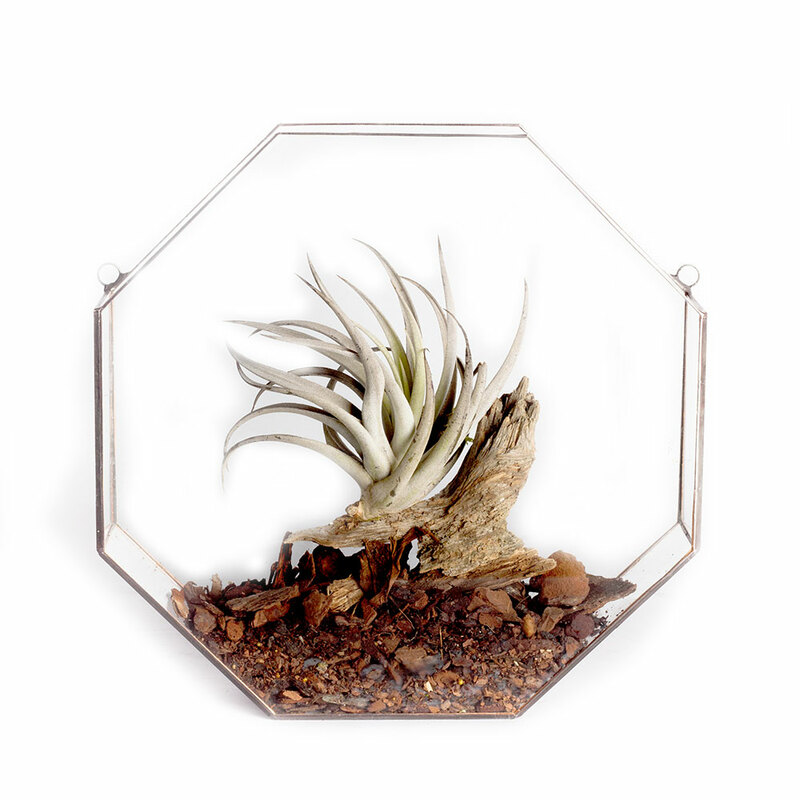 Choose between Air-plants, Succulent plants or just the glass.